What I love about this dish is how fresh it tastes and how colorful it looks. 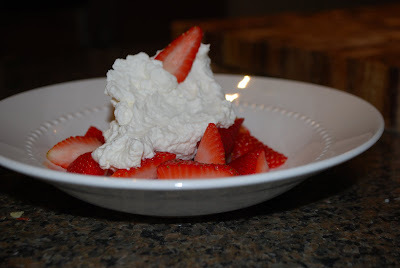 I also love that it has only a few ingredients, yet packs so much flavor! I found this recipe in Cooking Light earlier this year, and I've made it twice. 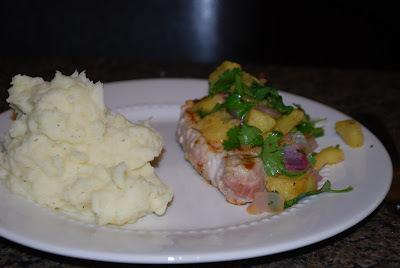 The bf thinks he doesn't like pork chops, but he likes this dish. 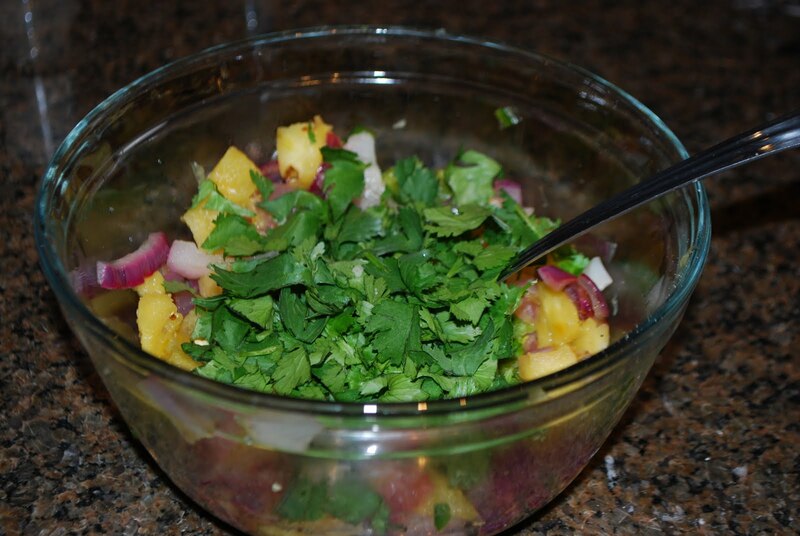 The leftover pineapple salsa is yummy with chips or quesadillas too. This recipe is for a grill pan, but I don't have one (on my Christmas list! 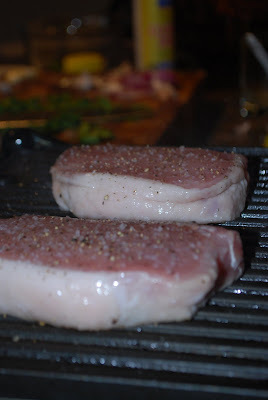 ), so I used my Griddler. 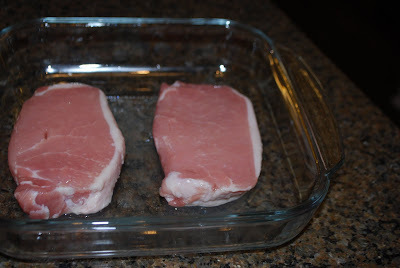 Cover pork chops with 2 TBSP lime juice and set aside for about 10 minutes. 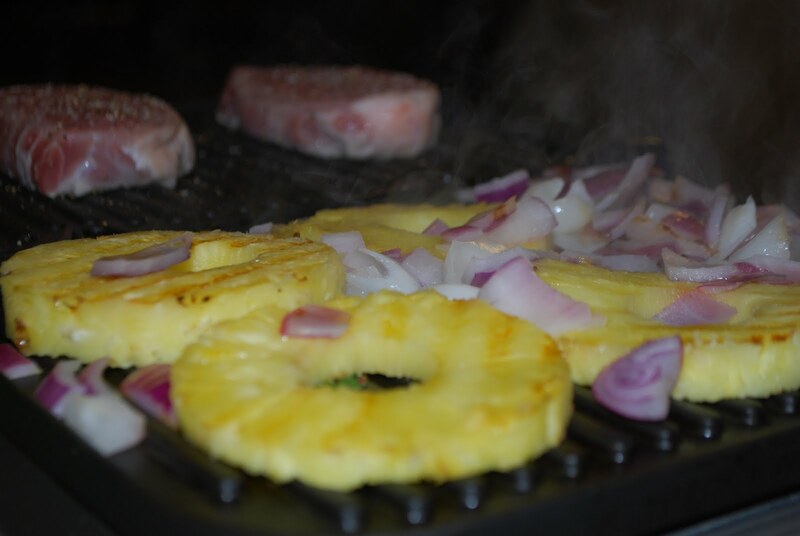 Heat grill pan/griddle on medium heat, spray with non-stick cooking spray and cook pineapple and onions for 4 minutes on each side. As you can see, I sliced my onions too small, but it doesn't really matter. 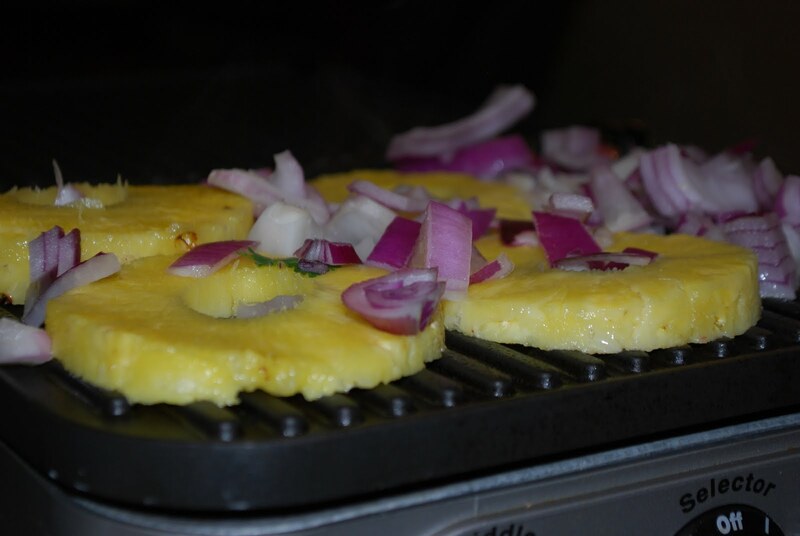 Chop pineapple and onion into small pieces and place jalapeno, salt and remaining 2 tsp lime juice in a medium bowl. Add the cilantro right before you serve so it doesn't get wilted from the warm pineapple and onion. 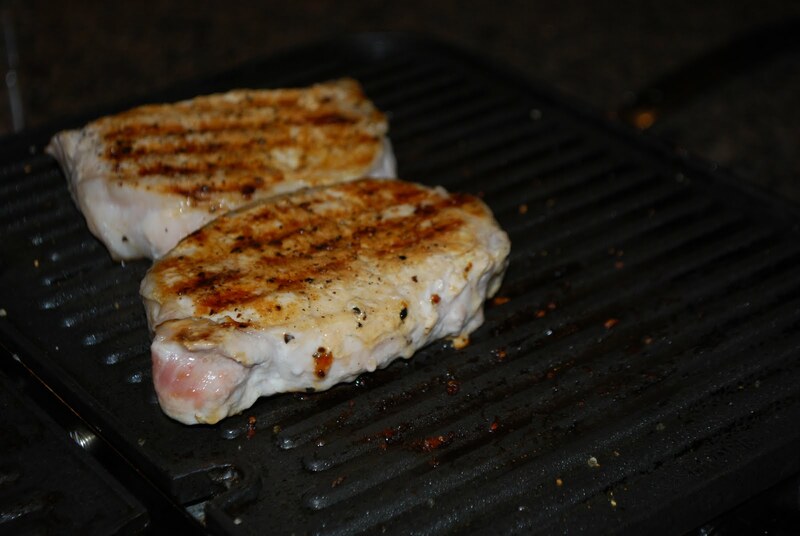 Spray grill pan with non-stick cooking spray (I had 2 sides with my griddle, so I could cook the chops and other goodies at the same time). 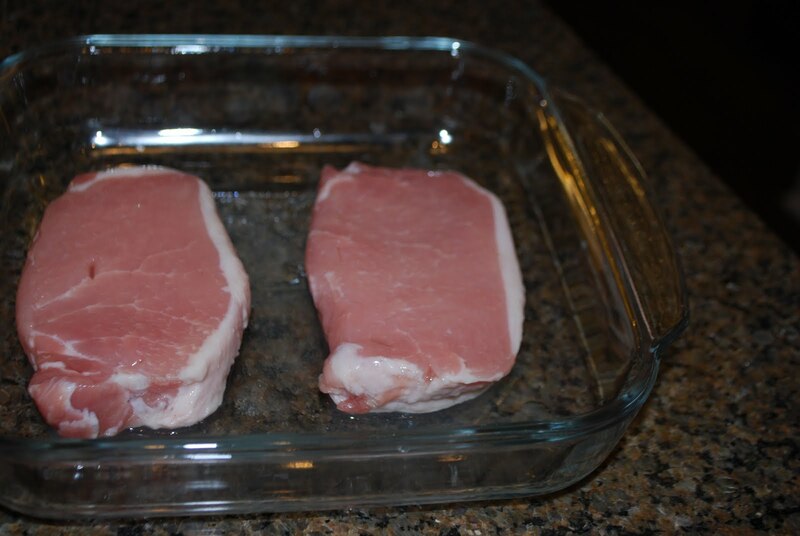 Season pork chops with salt and pepper and cook over medium heat for 4-6 minutes on each side (depending on how thick your pork chops are). Try only to flip once- it really seals in the juices! 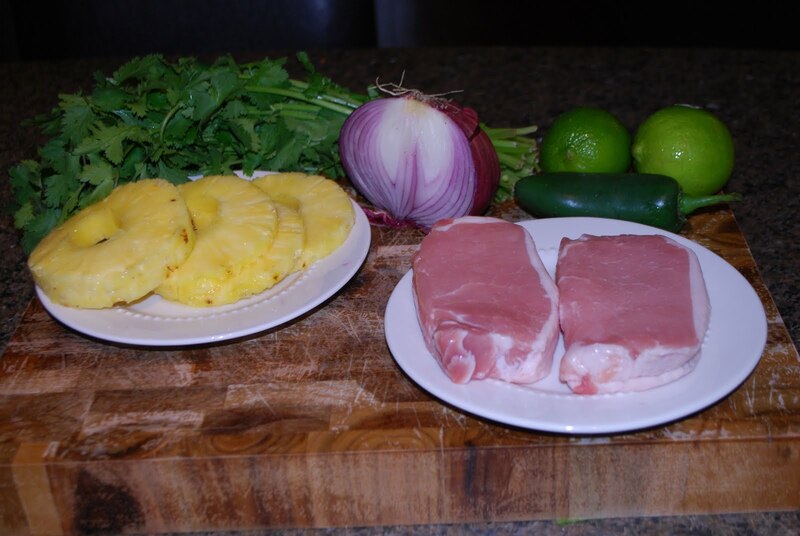 Top pork chops with salsa and eat up! 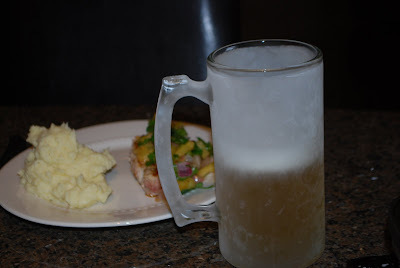 I served mine with homemade garlic mashed potatoes.